This Helena open pavilion is a wooden construction with walls to the back and sides. The open front is perfect for enjoying the weather. 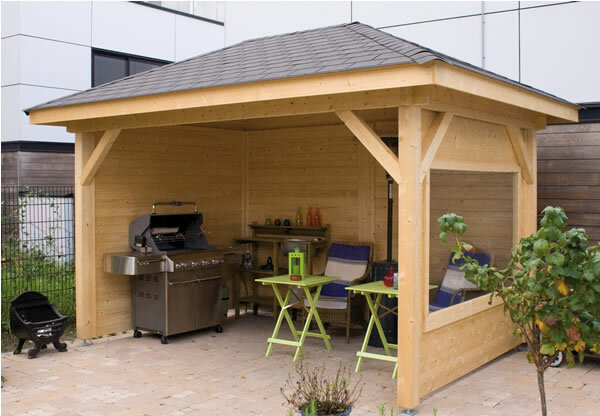 This open pavilion is perfect for barbecues or entertaining. There are many useful extras for example, foundation anchor kits, foundation ringbeams, floor constructions, wall elements, extra posts and copper finials. Please contact us for prices on these extras. This building is supplied uncoloured and without anchors. Felt tiles in a choice of colours are available as an option.